And that's all for my Spanish. Are you ready to start a new year of "brunchies and munchies"? In Florence Brunch Group, we are! We would like to invite you to discover Protected content a cool and warming Spanish Tapas Bar that propose a special deal for Brunch! 15 euro and you get 4 tapas of your choice! 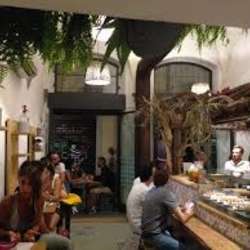 The food is really good and tasty, and the place is in the heart of power&fun of Florence: a small street that connects Palazzo Pitti and Santo Spirito. Let's make this cold January a little bit "caliente"! 1PS: The place closes at 14.30. 2Ps: I apologize for such short notice, but I have some work related issues that prevents me from picking up a further weekend!